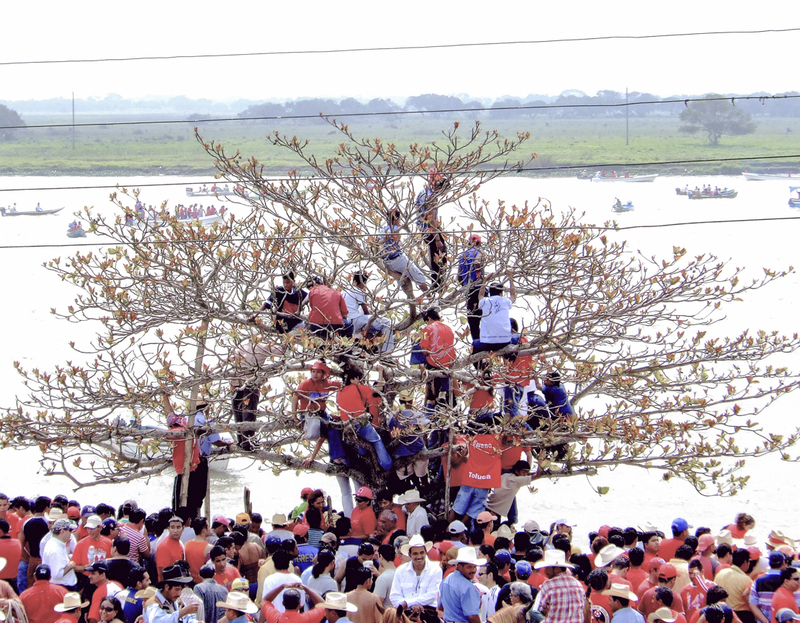 In the beautiful port of Tlacotalpan, recently named World Cultural Heritage by UNESCO, each year they celebrate the feast of ‘La Virgen de La Candelaria’ early during the month of February. On the day of El “Embalse de los toros”, six bulls are crossed through the river and then released on the streets of the town. The place gets filled with sounds and songs of fandango and ‘zapateado’. The population transforms itself and is over taken by laughter and excitement. The images reffer to impressions of Mexico taken on my way to Tlacotalpan, a tiny fishermen village of colored houses and very hospitable people. The focus is not placed on the scene of the bull itself, but it takes fragments of what is hapenning around, people observing, families and friends gathered and a general state of animation and sense of enthusiasm that fills the streets.